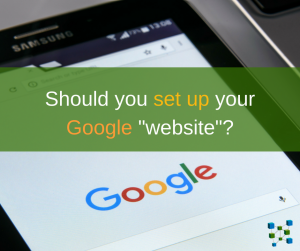 Google's New Business Site "Websites"
When logging into your Business Manager, maybe you’ve been prompted to create a “website” and wondered what you should do. When I first saw this I was confused. My first thought was that maybe they were trying to come out with other low-cost web platforms. Then I learned that it wasn’t a website at all. 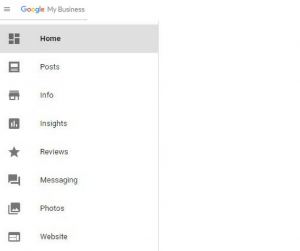 This new “website” feature in Business Manager is simply Google Plus – reinvented. They’re calling it Google Business Site and specifically a website. Why? I’m not sure, but I do know it isn’t the first time Google has badly renamed a product. Several years ago Google caused the same confusion when they renamed the 360 virtual tours for the inside of businesses from “Google Business View” (makes sense) to “Google Street View” (makes no sense when the tour is for the inside of a business). I suppose it could have been because some businesses are indeed outdoors and maybe it aligns with Google Maps – regardless of the reason, let’s just say they are a technology company and they’re big enough that they do whatever they want. Click here to see examples of real websites with intreated with the latest marketing tech and functions. When Google Plus (G+) first came into being, there were many supporters of Google’s new social media platform. Since it was connected to the dominant search engine those who used it effectively achieved a bump in search engine results by posting on the platform. It was also at a time when many marketers were disgruntled with Facebook so they saw G+ as the next big thing. Then Google changed. It wasn’t just a few changes or even several minor changes. The G+ platform started to look very different. It became hard to navigate and it lost its appeal for many marketers. Small business owners were just left more confused than ever and avoided it entirely. Where does that leave us all now? Well, it seems that Google is reinventing their idea, only this time one’s profile combines the Google local business profile with the old G+ idea of being able to post content – all accessed under the Business Manager. This new (old) feature is labeled a “website” which is both inaccurate and confusing. It’s better just to view this Google business site as another enhanced business listing – this one happens to be on Google – the king of all search engines. Now, there is a feature called “Sites” which seems to be Google’s website solution, but that’s for another blog – once I understand the pros and cons of that particular product I’ll report on that. But, for now, absolutely take advantage of these new features and fill in all of your business information just as you would on Facebook or LinkedIn. Remember, your information needs to be consistent throughout the internet, so if you use abbreviations for street, drive, suite, etc. be sure to use them in every listing. This is a good time to review all of your listings to ensure your hours are correct across all platforms, phone numbers are correct and that all of your linked accounts are still linked.